This looks wonderful. I love how it’s creamy, sweet and zesty all at once. 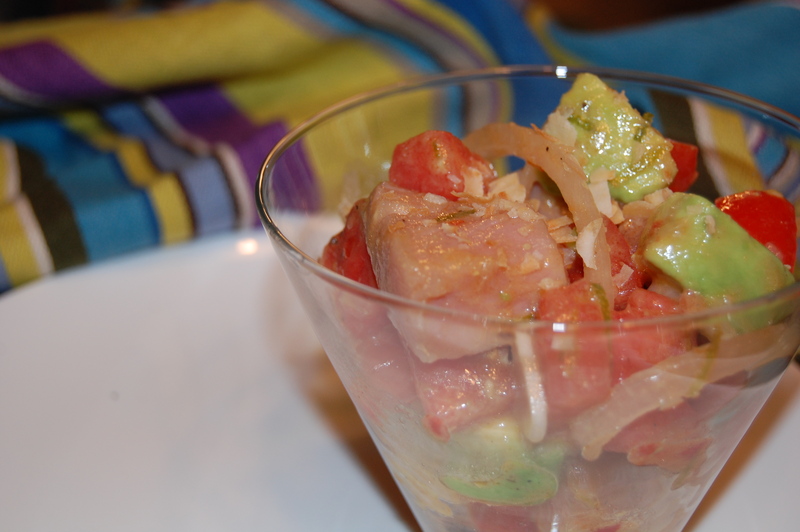 I haven’t had ceviche in such a long time.. but this Tuna Ceviche with Avocado and Watermelon looks amazing. Great post. Thanks for stopping by. I really like how it turned out! Thanks for the visit! I look forward to reading and trying your posts! Being a Latin American, I really appreciate this ceviche recipe! 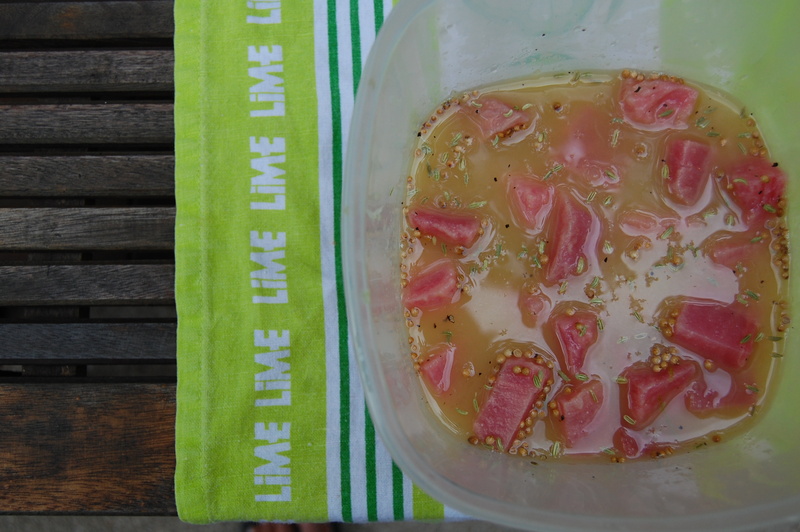 It is very creative since you added watermelon and toasted coconut! The chilli paste is wonderful! It gives a kick to it! I really like how the watermelon adds a sweetness and a brightness to it in a way that’s different than tomato. Thanks for the visit! I have to go look up ‘ceviche’…..